Whether you have a need for speed or you want to stay on top of your fuel economy, consider installing a high-level tachometer, which will accurately measure the speed of your automobile in a variety of driving situations. Located on the dashboard, the tachometer measures the action of the engine drive shaft in revolutions per minute (RPM). It is recommended to keep an eye on this measurement, because too much speed can substantially wear out your engine. 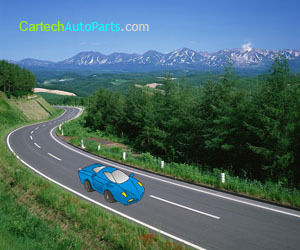 When driving up hill, a tachometer can assist you on deciding whether to change shifts. Tachometers can be easily installed in your vehicle in 30 minutes or less. Rather than removing or changing the dashboard, you find a good place to drill a couple of holes, one for the wiring. Some of the things you will want to consider include visibility and durable. Not only do you want a face you can easily see in all levels of light and bumpiness, you want a tachometer that isn't going to crumble under high speeds and rough terrain. Also make sure the tachometer is compatible with your car; most commonly they work with 12V systems with four to eight cylinders. In addition, consider where you would like to mount the tachometer, because you may need to purchase additional hardware for installation purposes. The Eqqus Performance Series lights up in blue, green, red or white and offers an electric air core meter that is OEM style or a 100 percent brass Bourdon tube. Either way the readings are accurate for this high performing and durable tachometer. This tachometer comes with a built-in red pointer, an easy back-lit display and a titanium aluminum bezel. Features include shift points that you can program, a dial face that fully sweeps 270 degrees, shift light, and recall of the highest speed reached. Speed is measured in increments of 100 RPM, and a bracket is included for installation, which can take place on the dashboard or the pillar. The Eqqus Performance Series is hardwired on the signal source, or you can clip it onto a spark plug with the included inductive pick-up. From one to 12 cylinders, this easy-to-adjust tachometer works on all engines and ignitions. The Sun Pro Sun Super Tach II boasts a needle response of nearly full-scale in a fraction of a second with precision and accuracy. The extra wide dial has a sweep of 350 degrees. The gauge is calibrated and combined with a transmitter in one unite, so there is no need to install the part separately. Graduations on the tachometer are in increments of 100 RPMs so that you can quickly get an accurate reading. Lighting up at night for easy viewing, the Sun Pro is durable when it comes to bounding and vibrations; rough terrain doesn't affect the precision of the reading. Backed by black housing, the numbers are white and the needle is red. Easy to mount, this tachometer can be placed in your dashboard or console, and instructions and needed wiring are included. This device, which is not for diesels, is good for four to eight cylinders with 12V negative ground systems, and for all ignitions, conventional and Hei. The In Dash Tachometer is a small device with a green, lit face that is easy to read. Rooted in Zener circuitry, the needle handles well in bouncy situations. This device mounts easily either on or under the dash, but gauge panels need ot be ordered. This tachometer is good for all vehicles that are 12V with four to eight cylinders. The Eqqus Replacement Series goes up to 8,000 RPM and is good for all conventional and Hei systems. With a 3 percent margin of error at full scale, this device is transistorized with the jeweled D'Arsonval meter. The Eqqus Replacement sweeps at 250 degrees and its two-inch face is backed with black housing. This device works with all 12V systems from four to eight cylinders and comes with instructions and hardware for installation. With the exception of diesels, this is a good choice for all car and truck ignitions, even electric. For the green-minded auto enthusiast, consider the Ecometer, which is customized to the specific make and model of your vehicle. Suitable for compacts, full sizes, minivans, trucks and SUVs, software is embedded in the device that calculates your fuel economy in both real time and an average. The fuel economy reading is displayed in both graphical and digital form. There are four different modes on this device, which are swapped by pressing a button.